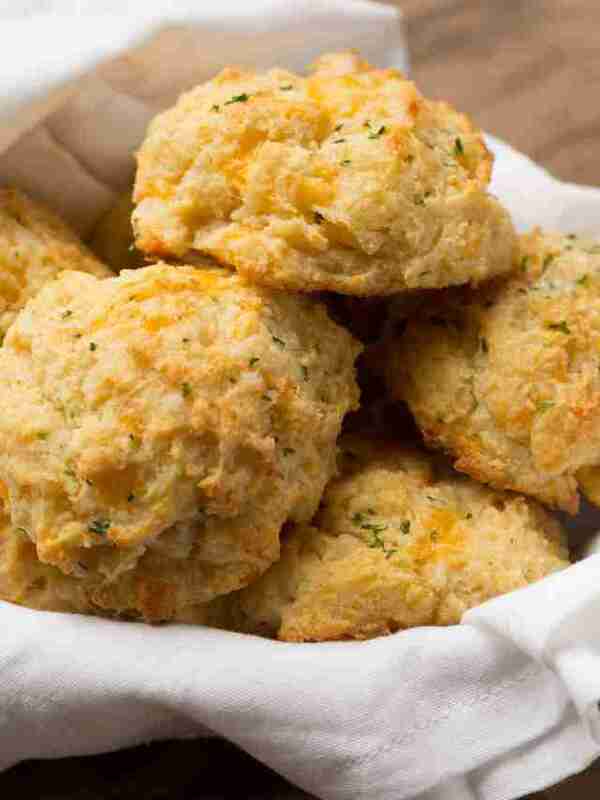 We Reverse-Engineered Red Lobster's Cheddar Bay Biscuits. Here's the Recipe. People often say I remind them of my grandmother. I never really saw the likeness until I found myself slouched over in a booth at Red Lobster, stuffing Cheddar Bay Biscuits into my purse. The trick is to bring your own napkins from home. That, and some sleight of hand. Making the biscuits at home nets me the bread basket without the one flaw in my grandma's sneaky dinners: buying the expensive seafood dinner. 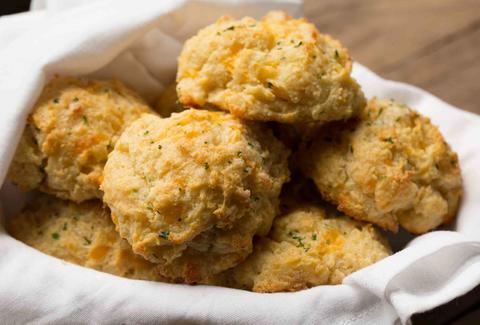 To figure out the recipe, I started with the boxed Red Lobster biscuit mix, substituted butter for shortening and buttermilk for water, and then tinkered with the seasonings until I ended up with the fluffy, garlicky biscuits from the restaurants. Now I’m not only saving money -- and some dignity -- but I get to pair the cheesy biscuits with anything I want. For one, it upped my breakfast sandwich game by, like, a lot. Grandma would be proud. In a large bowl, combine flour, baking powder, sugar, baking soda, salt, and cayenne pepper. In a large glass measuring cup or another bowl, whisk together buttermilk and butter. Pour mixture over dry ingredients and stir using a rubber spatula just until it forms a moist, shaggy dough that just comes together. Don’t overwork the dough! Gently fold in cheese. Using a ¼-cup measuring cup or ice cream scoop, place 8 mounds of batter 2 inches apart on the baking sheet. Bake for 14 to 16 minutes, or until golden brown. For the topping, whisk together ingredients in a small bowl. 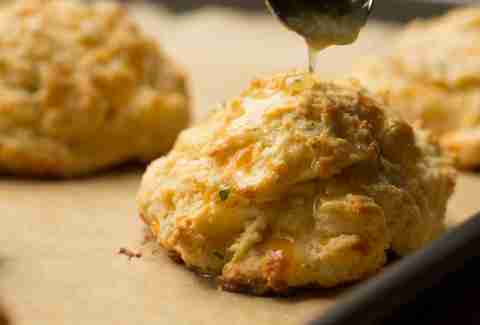 Spoon 2 teaspoons of the garlic herb butter over the top of each hot biscuit. Serve immediately.